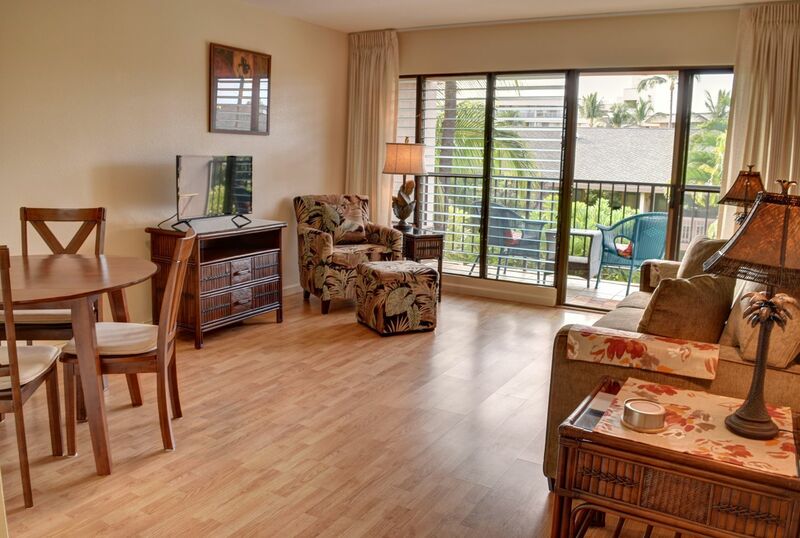 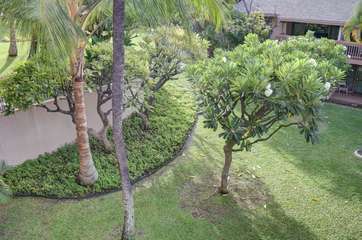 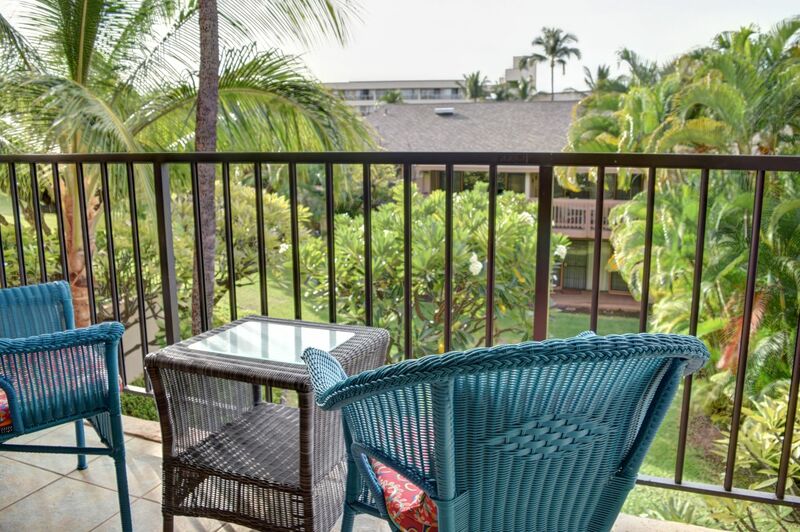 This ocean view unit has everything to make your trip to Maui complete. 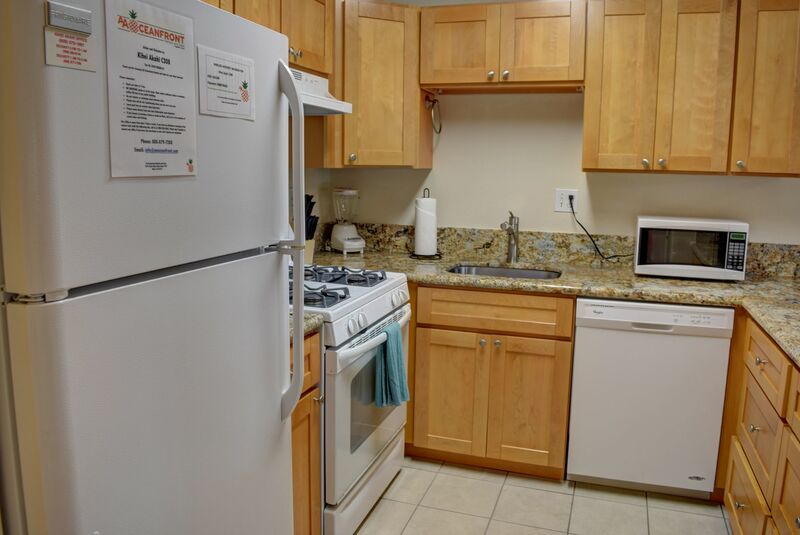 Recently renovated with hardwood floors, some appliances, new bath/shower with grab rails and bench make this unit your home away from home. Whether you choose to run the A/C in the living room or take advantage of the tropical breezes that flow freely, you can rest assured that your time here will be well spent. 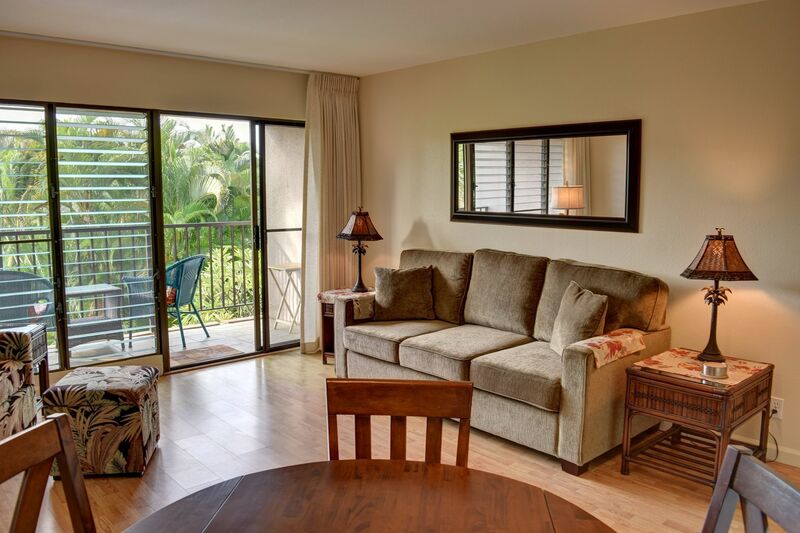 Living Room: This elegantly decorated room is everything you will need to rest and relax after a day of Maui fun in the sun. 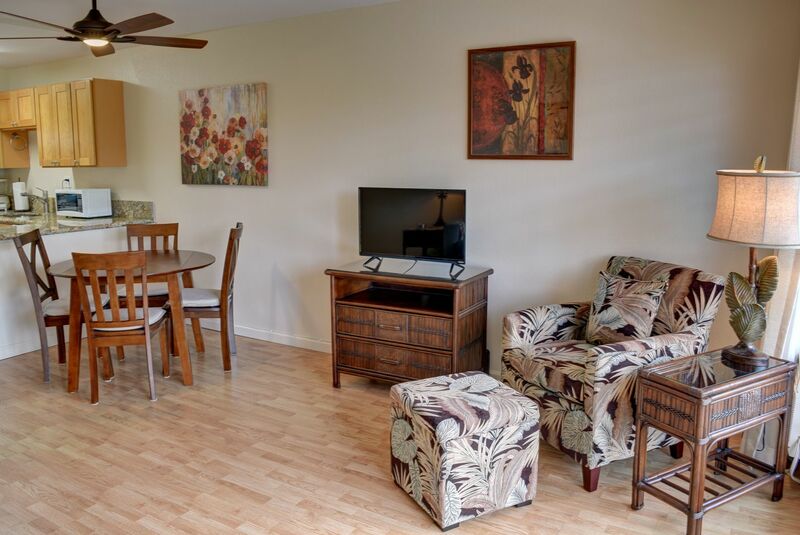 Enjoy sitting back on the comfortable sofa or read a book in the armchair. Watch a surfing movie on your flat screen tv and pull out the sofa sleeper for extra sleeping capacity. With views of the lush tropics, this room will sure to delight you. This room is also open to the dining area where there is seating for 4. 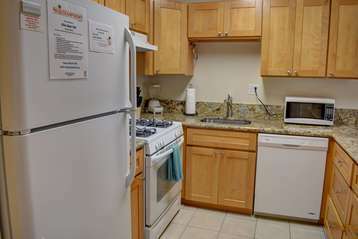 Kitchen: This kitchen is stocked with full size appliances, granite counters and nice wood cabinets. 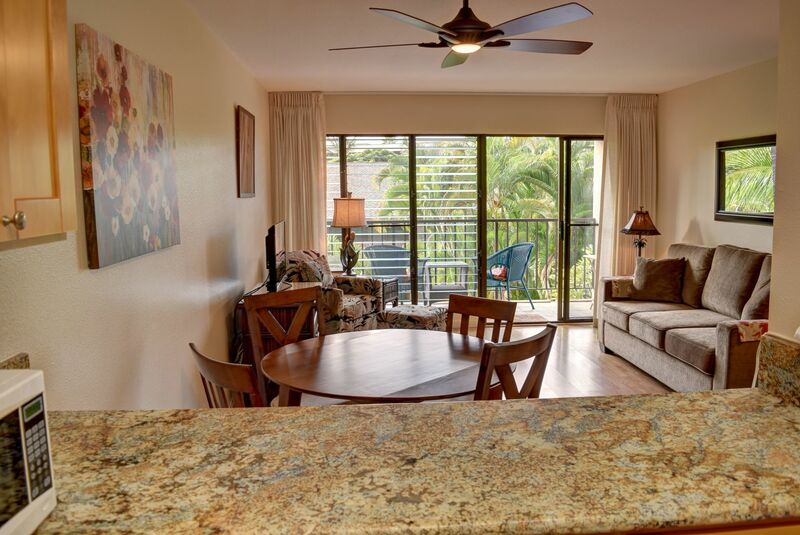 You will love having the convenience of a full kitchen on your Maui vacation where you can blend a tropical drink and relax on your lanai or prepare an entire thanksgiving meal. 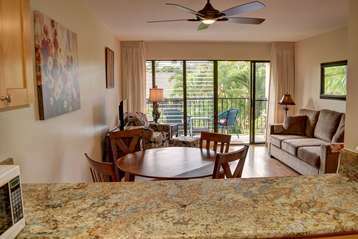 Master Bedroom: This bright and open room is the perfect place to get some rest from after a day at the world famous Kihei beaches. 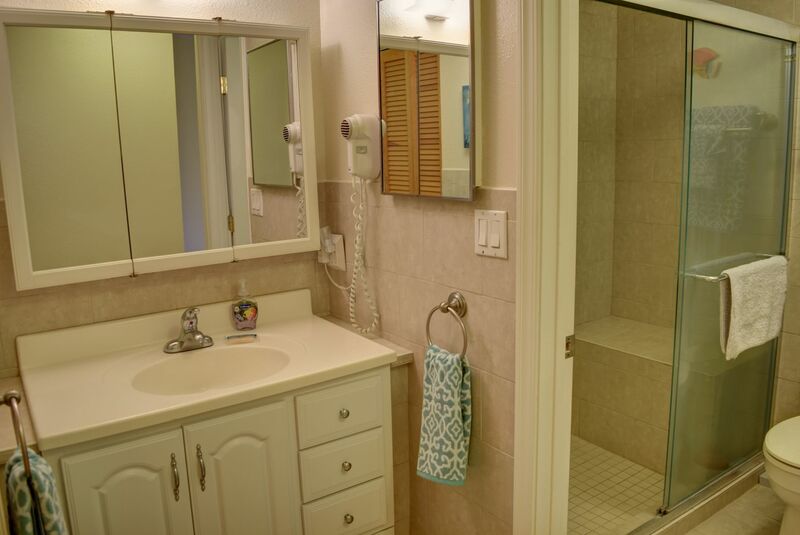 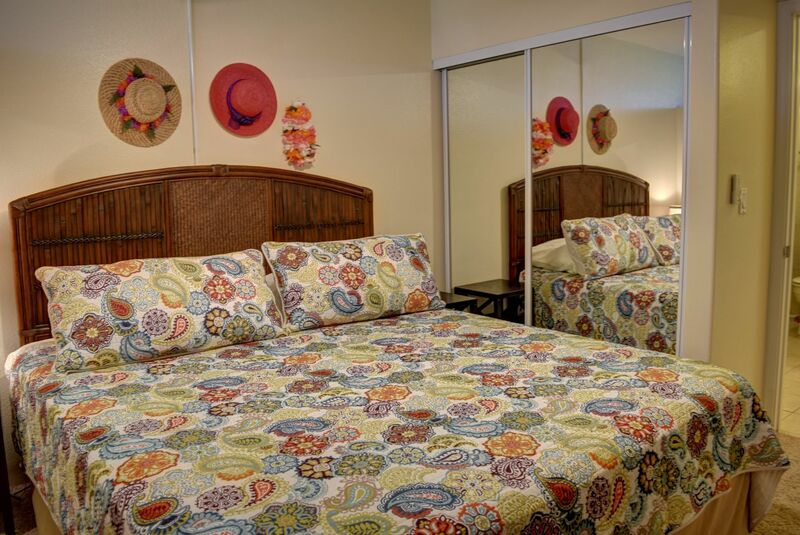 Equipped with a King size bed, 2 large closets and large shelves, there is plenty of room to spread out in here. Hang your swimsuits or dry out your beach gear and get some rest here. 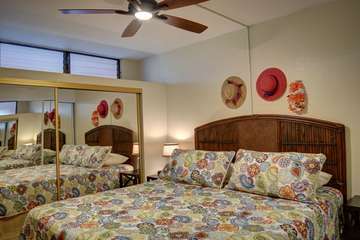 You will love the fun and bright feel of this bedroom. 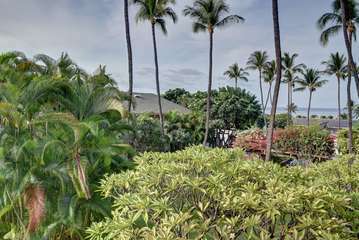 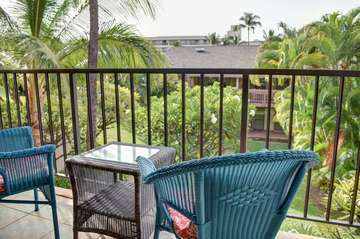 Lanai: You will love siting out on your private lanai with views of the incredible tropical foliage and partial ocean views. Sip on a tropical drink or pupu and cool off in the breeze!